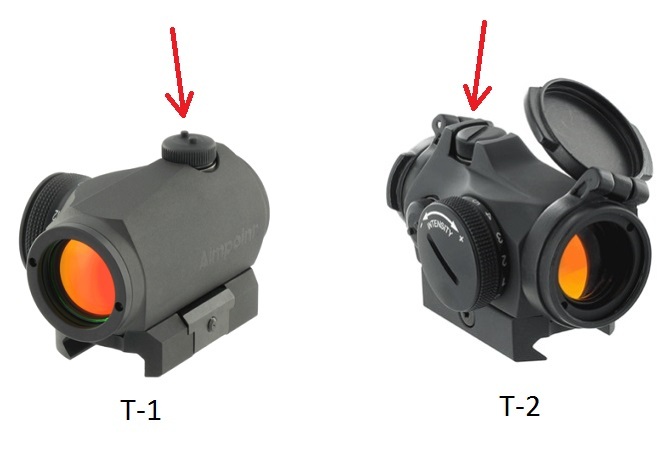 Aimpoint T1 vs T2 : Which One is the Best Deal for You? 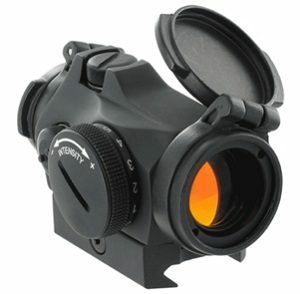 Aimpoint Micro T-2 is the upgraded version of the T-1 model. 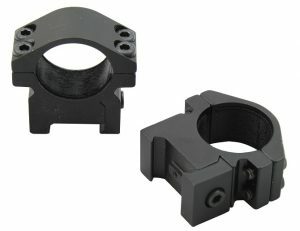 These lightweight, compact, micro red dots are some of the most popular go-to duty & home-defense optic due to Aimpoint’s unmatched reputation in reliability. 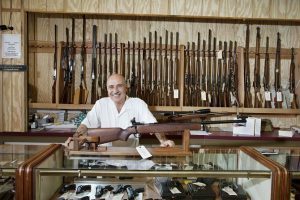 You can get either one of these and rest assured that the optics will not fail you in time of need. But does the T-2 upgrade make sense to you? 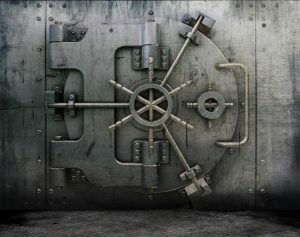 In this article, I’ll help you spot the stark differences between the 2 and help you make informed decision on whether to get the upgraded version or not. Aimpoint Micro T-2 has rounder, crisper dot which is easily felt if you also use magnifiers in conjunction with the red dot sight. Glass and lens coating has more natural color and better contrast. Parallax error is further eliminated. Housing construction further improve protection by covering more of its elevation turret. If you’re looking to buy a new red dot and is considering between the two, go for the Micro T-2 as the increased benefit trumps increased price. In the past when the T-2 was just announced, many people speculated that the T-2 would be just a small marginal improvement over the T-1 model. Mostly because the T-1 was (and is) already a spectacular red dot sight. But this has proven to be false, as there are quite a number of major upgrades with the T-2. 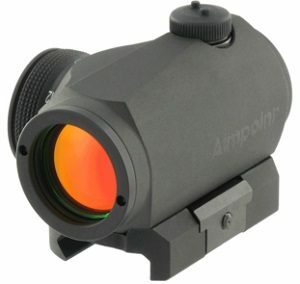 Some people even suggest that Aimpoint cease their T-1 production line and manufacture only the T-2 model. In my opinion, the Micro T-2 dot is the biggest improvement of this model. A magnifier multiplies any distortion and imperfections a red dot may have, helping you identify the things you could have overlooked with the naked eyes. Thus, it is one of the stricter test on an RDS. 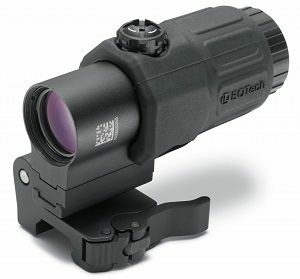 Even though the T-1’s dot is acceptable for most people, if you run a magnifier with the red dot, you’ll clearly see that the dot is not perfectly round. 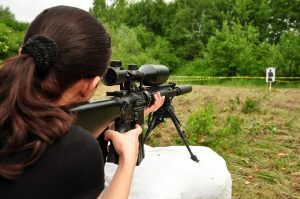 When I used the T-1 with my EOTech G33, the dot is more of an oval to my eyes. When I switched to the Aimpoint T-2 however, this problem is solved as the dot is nice and perfectly round for me. For those who don’t use, or intend to use any magnifiers, note that the dot will also appear better for people with astigmatism. 2 of my buddies with astigmatism tell me that they see significantly less starburst or splits with the T-2. Glass and lens coating is another area of improvement. If you start nitpicking with the T-1, you’ll notice slight blue tint with your glass. Admittedly this tint has never bothered me before and the T-1 does have good glass. But the T-2 glass gives better natural colour and slightly better contrast, syncing your two eyes vision with sight picture more smoothly. Aimpoint T-1 red dot already has less parallax errors than those lower end red dot such as Primary Arms, Holosun, etc. But the T-2 is a step further in terms parallax error reduction. Thus you can achieve higher accuracy with this T-2 even if you don’t have perfect cheek weld every time. 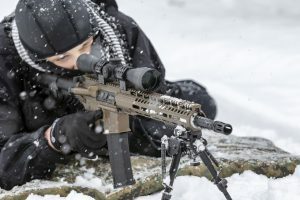 A parallax test done by GreenEyeTactical scientifically showed that the T-2’s parallax error is significantly less than the T-1 model. In that test, parallax error was best reduced by EOTech EXPS 3.0 which should be the case since it employs holographic sight technology. 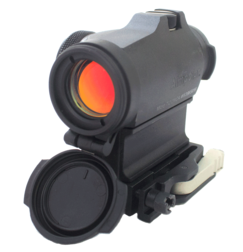 Aimpoint T-2 earned 2nd place in terms of parallax reduction in many of the conducted test. Turrets : On the Aimpoint T-2, the top of the tube’s housing construction is raised to further protect your elevation turret. Both elevation and windage caps on T-1 model has 2 knobs on top which can be used to adjust your turrets. For T-2, only the windage cap has these knobs. Better not lose that cap, or else you need to carry another adjustment tool. Base : Helicoil screw inserts at the base for T-2 model. Lens Covers : T-2 has Flip caps cover. Rear cap is clear while front cap is opaque. T-1 has bikini covers. Mounting Height : T-2 sits 1 millimeter higher than the T-1. Battery : Same 50,000 hours battery life. Same right side battery compartment.